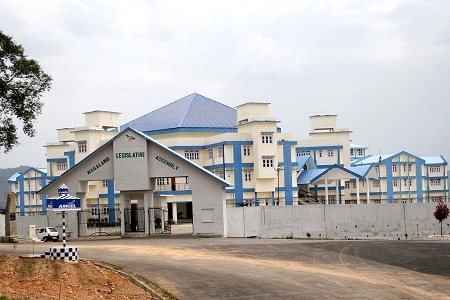 Hundred out of 195 candidates contesting for the 60-member Nagaland Assembly are crorepatis, as per the affidavits submitted by them to the Election Commission of India during filing of their nominations. The election is scheduled on February 27. The crorepati candidates have shown an increase of 4.4 percent in number standing at 51.2 per cent against 46.8 per cent in 2013 Nagaland Assembly elections. The NPF leads the number of crorepatis with 41 candidates followed by the Nationalist Democratic Progressive Party 22. The AAP and the LJP have none. There are also 13 candidates in the fray this year who have assets crossing the Rs 10 crore mark. BJP candidate from Atoizu Assembly constituency under Zunheboto district KL Chishi is the richest with total asset of Rs 38,16,68,455. As per his affidavit, the former Congressman and former chief minister has movable assets worth Rs 1,71, 68,455; and immovable assets worth Rs 36,45,00,000. His income is generated through agricultural farming and rubber plantation, the affidavit mentioned. Former Nagaland chief minister Neiphiu Rio follows Chishi with a total declared asset of Rs 28,14,75,867. Rio is the chief ministerial candidate of Nationalist Democratic People’s Party. His movable assets include Rs 10,23,29,867 with a Land Cruiser Prado and a BMW Mini F56 Cooper. Rio, the former MP, was elected unopposed last week from the 10 Northern Angami II Assembly constituency. He has immovable assets declared at Rs 17,91,46,000. According to his affidavit Rio’s income sources include his salary and allowance as an MP, rental income, interest income and agriculture income. Incumbent Chief Minister TR Zeliang has declared a total asset worth of Rs 3,18,84,855. This includes movable assets worth Rs 1, 23, 54, 855 and immovable assets worth Rs 1,93,30,000. His affidavit also shows that he has no cars in his name. Former Rural Development Minister CL John, while having assets worth Rs 14, 30,03,914, has only a Maruti car valued at Rs 2, 50,000 in his name. While the number of crorepatis in Nagaland’s election fray seems substantial, there are quite a few prominent absentees from the rich list. One is Nagaland Health and Family Welfare Minister and another veteran legislator Imkong L Imchen, who declared total assets of only Rs 98,81,750. His affidavit said he has no cars in his name. There are quite a good number of Nagaland Cabinet ministers or former Cabinet ministers who have no cars. Former Home Minister Y Patton also has no cars in his name as per his election affidavit. He is also not a crorepati with assets worth only Rs 99,39,650, just Rs 60,000 short of the mark.